Cavan band The Strypes are most definitely a band on the rise and they delivered a storming performance on Later with Jools Holland last night. 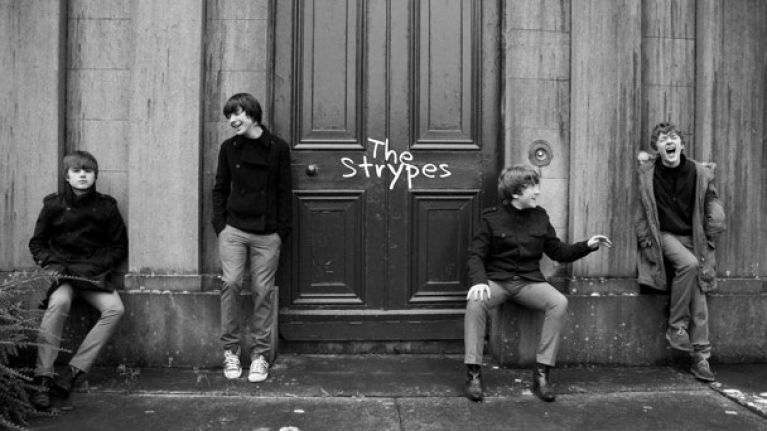 Rarely has there been as much excitement surrounding an Irish band in recent years as there has been about Cavan band The Strypes. They originally signed for a record label owned by Sir Elton John – they are now signed to Mercury Records – and can count the likes of Dave Grohl amongst their high-profile fans. Not bad for a bunch of teenagers from Cavan, eh? Although they already had a pretty big profile as it was, even more people were talking about them last night after a brilliant performance on Later with Jools Holland last night, when they brought the house down with a cracking version of their most recent effort, 'Blue Collar Jane'. A quick Twitter search for The Strypes will give you an idea of the overwhelming reaction their performance generated and we’re looking forward to seeing a lot more of them in the future.